How to Perform a Job Analysis! 1. How do I perform a job analysis? 2. What are the benefits of completing a job analysis? 3. What makes for a good Subject Matter Expert (SME)? 5. How does the GOJA job analysis process make for a defensible job analysis? AutoGOJA Job Analysis Software is a hosted software solution that automates many steps necessary to complete a traditional job analysis. Qualified organizations may sign up for a FREE Basic Job Analysis account. This FREE service will allow an organization to complete a job analysis for one position. The account may be upgraded to allow for analyses to be performed on subsequent job titles. Click here to request more info or a FREE AutoGOJA account. The GOJA Manual is a manual (paper and pencil) solution that leads that leads an HR practician through the steps necessary to complete a traditional job analysis. Organizations opting to perform a manual job analysis may download our free Guidelines Oriented Job Analysis form. This 99-page job analysis booklet is free to download, print and use (without modification) for any number of job analyses. Existing AutoGOJA Clients: Please click the button above in order to access the AUTOGOJA software. If you do not yet have an account, request a FREE AutoGOJA account. Guidelines Oriented Job Analysis (GOJA™), Biddle Consulting Group's highly respected and legally tested job analysis process is now a fully functional and extremely powerful online job analysis system. Designed to address the requirements of the federal Uniform Guidelines on Employee Selection Procedures and the 1990 Americans with Disabilities Act (ADA), AutoGOJA will help employers collect the information necessary to defend their testing, selection, and compensation practices. AutoGOJA is designed specifically for the human resource professional who needs to conduct the most legally defensible job analysis in a fast and efficient manner. Sign up for a free AutoGOJA account or request more information about AutoGOJA and Biddle's job analysis consulting services. Conduct a thorough job analysis ONLINE! Any employer can establish an FREE AutoGOJA account that will allow them to conduct job analyses online, anytime.
. Sign up for a FREE AutoGOJA account and perform a job analysis on a single job title. Upgrade your account to allow for more job titles at any time.
. Easily create custom job analysis surveys by typing your own task or KSA statements right into the system or import lists of tasks or KSAs from any popular word processing or spreadsheet software.
. Launch the survey by automatically sending a "link" to your subject matter experts or simply by copying the link into any browser.
. 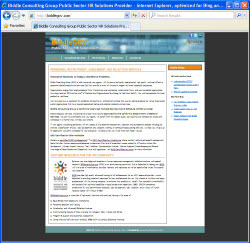 The survey can be completed as part of a facilitated group meeting in a computer lab or the link can be distributed wherever employees work to ensure adequate geographic, shift, gender and ethnic representation in the job analysis sample.
. Easily complete linkages between knowledge, skill or abilities and the duties on the job.
. Generate summary reports that will document those job duties that are critical to job performance as well as the knowledge, skills, and abilities that are both critical and which are required at entry to the job.
. Generate a selection matrix or exam plan automatically.
. Free regular system upgrades to enhance features based of feedback from users. AutoGOJA basic account is completely FREE and will allow a complete job analysis for one job title. Account upgrades that will allow for job analyses on many job titles are available for an affordable annual subscription fee. Click to request your FREE AutoGOJA job analysis software account. Your account will typically be available within 48 hours of signing up. Already have an account? Log in to your AutoGOJA job analysis software account here. Questions? If you have questions regarding AutoGOJA, please email your inquiries to autogoja@biddle.com or call us at 1-800-999-0438 extension 181. We are happy to assist and your questions and comments are always welcome! Additional Resources. We have assembled the following websites to help serve the human resources community with all of their software, consulting and services needs. OPAC is software that tests job applicants for critical skills & abilities necessary for success in today's complex -- and stressful -- office environment. 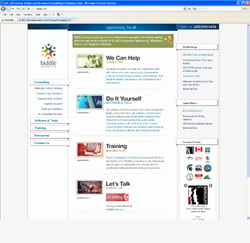 OPAC is an affordable tool that can be used again and again. 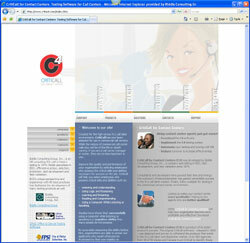 OPAC software measures critical skills & abilities in a modern, job-related manner. Don't rely on written tests to simulate the office environment. Research indicates that 80% of newly-hired telecommunicators who leave before the end of their probation do so because they had inadequate job-related knowledge, skills and abilities. CritiCall is software that tests applicants for critical skills & abilities necessary for success in today's complex -- and stressful -- dispatching environment. 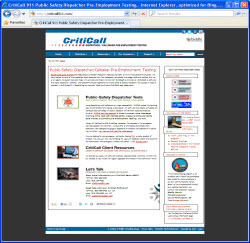 Created for the high-stress 911 call taker environment, C4 has now been adapted for use in commercial contact centers. While the nature of commercial contact center calls may not be of the life-or-death variety, if you are a call center manager, they are no less important to you. Improve the quality and performance of your organization by selecting employees who possess the critical skills and abilities necessary for success in the commercial contact center environment. 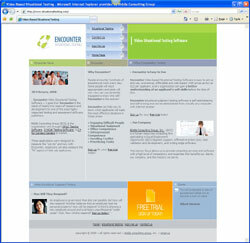 ENCOUNTER Video-based Situational Testing Software is easy to set up and use, economical, affordable and web-based. With prices as low as $12 per applicant, every organization can gain a better understanding of an applicant's soft skills before the time of hire. Affirmative Action Plan Development Options - BCG offers a variety of AAP development options ranging from AutoAAP® affirmative action planning software to affirmative action plan outsourcing with a team of tenured consultants that can develop an organization's entire set of affirmative action plans and more. 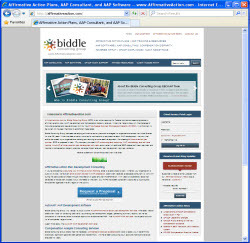 Established in 1974, Biddle Consulting Group (BCG) is a human resources consulting firm specializing in Equal Employment Opportunity (EEO) litigation support, Affirmative Action (AA), test validation and development, and cutting-edge software. This narrow focus allows us to provide consulting services and software with a high level of competency and expertise that benefits our clients, our company, and the industry we serve.